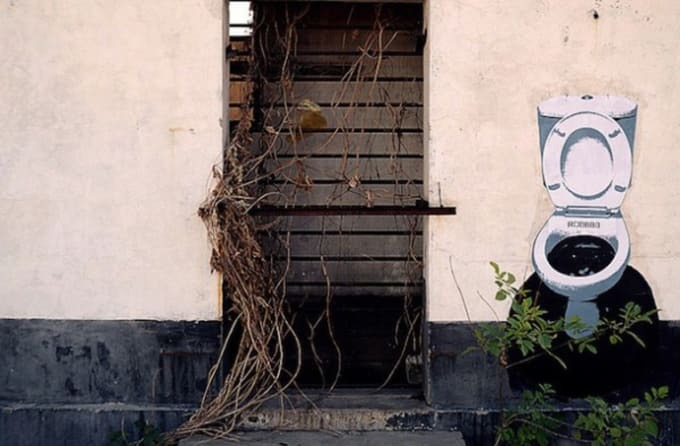 Chinese street art is an odd beast, but artists like ROBBBB prove that odd can be really, really good. For all the tales of strictness and censorship in China, it may come as a surprise that graffiti is perfectly legal. It therefore doesn&apos;t come with connotations of danger and deviousness like it does in the West, and also means that artists can spend more time on pieces, so pictures rather than words dominate the streets. Despite these ideal conditions, a good street artist (or any of them) is hard to find in China—perhaps social acceptance makes it less fun for some. ROBBBB has taken advantage of the freedom, and developed a unique and refined style.